Join us for English conversation skill building! Practice conversational English and make new friends from around the world! 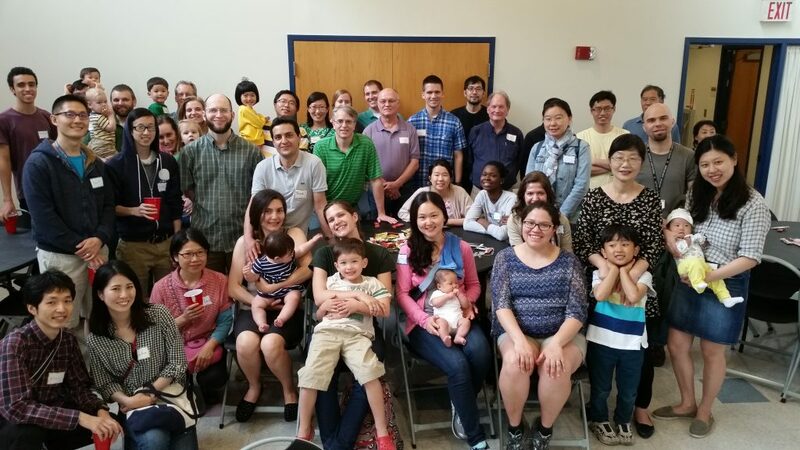 Come and enjoy conversation practice, round table discussions, fun and friendship with native English speakers. When do you have class? During Fall and Spring semester: Every week when MIT classes are in session. It is FREE ! We offer this as a service and as a help to others. There really is no cost. Anyone is welcome. Many participants are students or spouses of students at MIT but participants come from many schools, area hospitals, or other places as well. 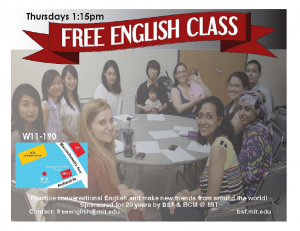 Since you now know about the free English class you are welcome to attend. No prior registration is required to attend. On your first day we will have you fill out a form with your contact information. Just come ready to learn on whatever day you prefer and come as often or as little as you are able. Can I bring my kids to the English classes? Absolutely! Infants and small children are more than welcome to attend with you. We do not have any childcare during our classes so children will be expected to sit quietly with you.